A program to research the claims of damage and problems caused by vervet monkeys and offer possible solutions to co-existence. 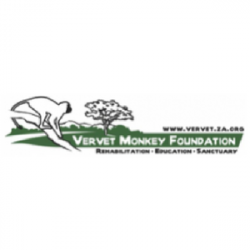 An education program to inform the public of the role that the vervet monkey plays in the eco-system and how to prevent human - vervetconflict. but still able to have a quality of life to be ambassadors for their species. An opportunity for volunteers to study the life style and environment of the vervet monkey primate species. A project for volunteers to become involved in the conservation and rehabilitation of this unique indigenous primate. Opportunities for volunteers, vet nurses, gap year students and those involved and interested in primate conservation. The promotion of a vegan lifestyle to help sustain the environment, prevent habitat loss, animal suffering and to make a contribution towards helping many of the world's issues.